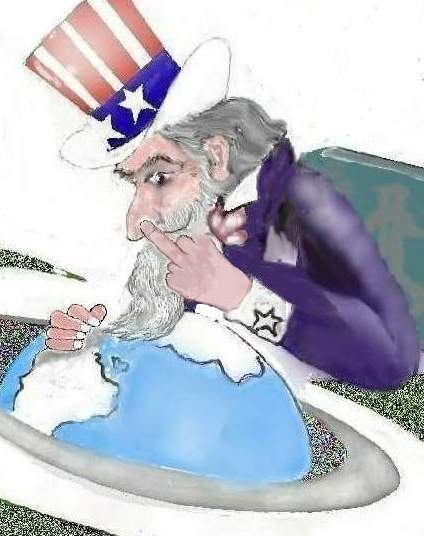 I hate this political cartoon depicting Uncle Sam snorting and giving the finger to Colombia, South America. The cartoon was drawn by an up-coming Colombian artist (Jairo Del Rio) to illustrate America’s war on drugs from a Colombian’s perspective. The cartoon is insulting to this patriotic American. However, when interviewing Colombians on their drug problem, they unanimously say the USA created it. They tell me we must remove the profit from growing cocaine before the poor and uneducated farmers stop growing it. By legalizing cocaine we can tax it and monitor its sells, much as we do with alcohol. One picture can say a thousand words and seeing this obviously anti-American sentiment graphically illustrates a most shocking and sobering reality. We believe we know more about a country than we do. I found Colombians to be respectful of Americans and the USA; our foreign policies may be another matter. There’s a perception in Colombia that there’s two Americas existing in parallel universes, the America within our national borders that advocates social justice, fair play and equality; and then there’s the America outside our borders composed within our foreign policy. Today, cocaine may be more popular in Europe than in the USA. Traces of the powder are found on most Euros and on US currencies worldwide. However, the Europeans and other nations are not engaged in the war on drugs, it’s an American policy. The Germans are looking pretty good these days for installing state-of-the-art rail systems in Colombia, along with a network of transportation systems suspended high above urban streets. This technology is visually stimulating and exciting to many Colombians, much as modern day futuristic amusement rides. This is ironic because in the 1850s it was the Americans (not the Germans) who contributed to the building of Colombia’s railroad system. The Germans are doing business as usual and in doing so, serving the transportation needs of the average Colombian. It’s our American foreign policy that’s poisoning their forests, livestock and causing health problems, including displacing villagers in the path of the cocaine eradication program. The visual contrast between Americans and the helpful Germans must be striking. Roundup is the toxic chemical we’re spraying on the cocaine crop. The cocaine is planted and harvested three and even four times yearly. The manufacture of Roundup (Monsanto of St. Louis, Missouri) cautions that it not be sprayed more than 10 feet above the ground because the chemicals will drift in the air. However, we are currently aerial spraying Roundup at an attitude of 100 feet and it is drifting onto farm crops and crossing the border into Ecuador, causing international tension between the two countries. Roundup is not as safe as we once thought. The fumigation causes health consequences, skin and gastric disorders (and possibly cancer) in people, and has killed thousands of livestock, farm animals and fish as well as various and diverse food crops. Similarly, Agent Orange, the chemical used during the Viet Nam military conflict, took years before we fully understood the damage it caused the environment and the peoples of that region. Is the war on drugs really about eradicating cocaine? The FARC (Revolutionary Armed Forces of Colombia) is the oldest insurgents in South America and has been fighting the Colombian government for over 40 years. It has been funding its operations through cocaine and opium sells since the 1980s and naturally would like the fumigation to stop. The AUC (United Self Defense Forces) is a right-wing paramilitary group that has also been financing its organization through cocaine sells. It has an interest in suspending the eradication of cocaine. However, some people say the war in Colombia is not about drugs, not about financing paramilitary factions, or about the health of addicts. 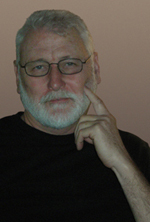 Journalists Alexander Cockburn and Jeffery St. Claire say the war on drugs serves as a means of clearing villagers and indigenous Indian populations from the fertile land of their ancestors. This is being done to clear the way for big business, cattle grazing, oil and mineral exploration. The American Indians in the 1800s had a similar fate. A political cartoon speaks a thousand words, words that may be difficult for us to bear; but, bear them we must.